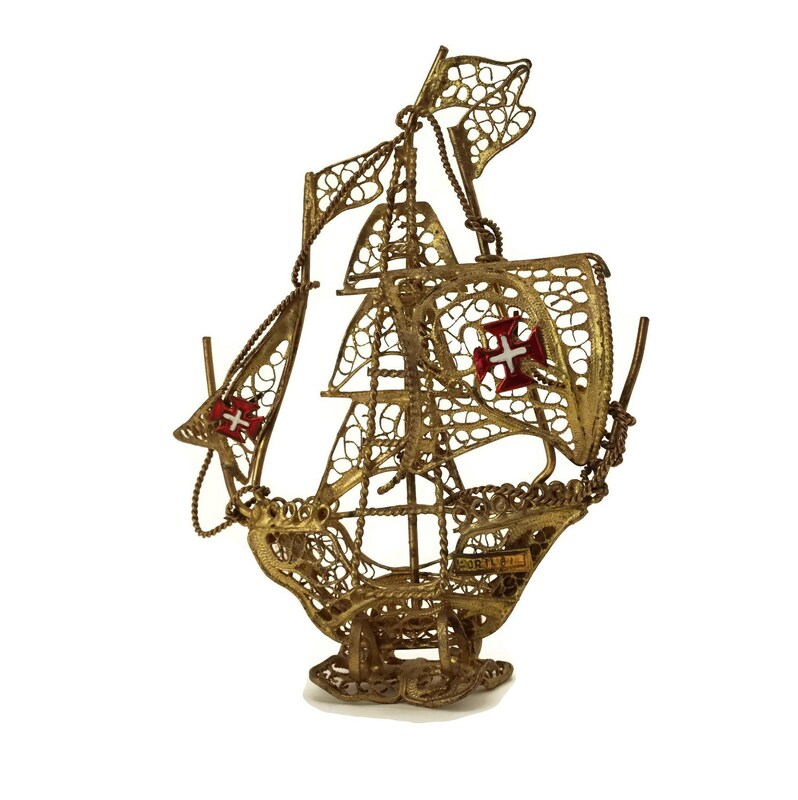 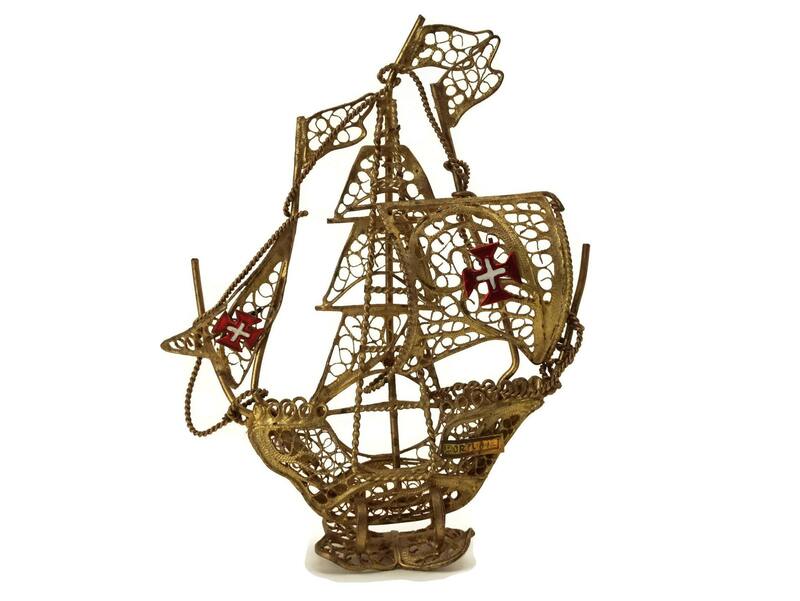 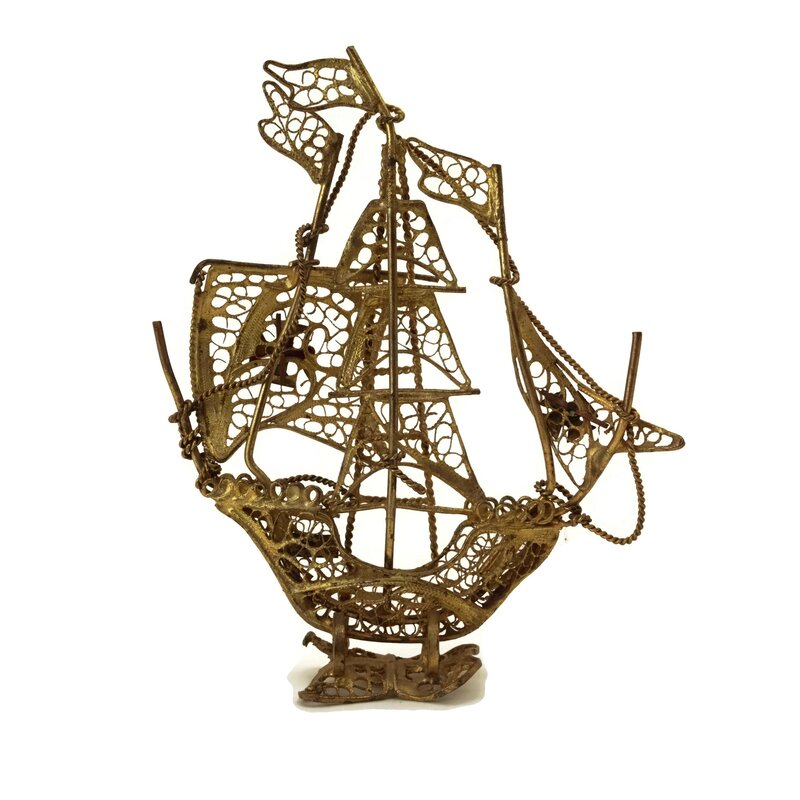 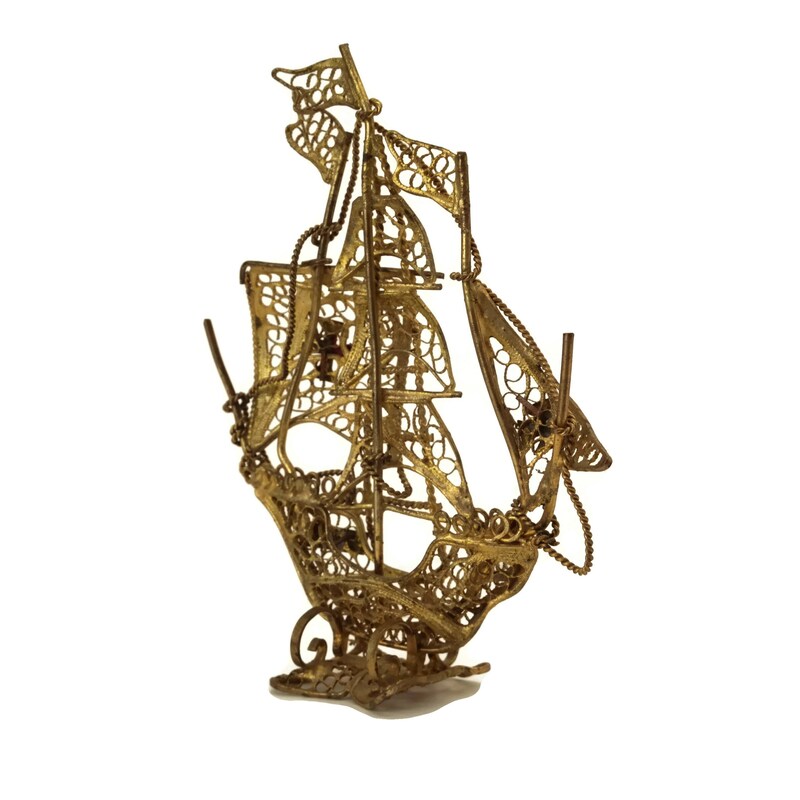 A vintage Portuguese souvenir sailing ship dating to the mid century. 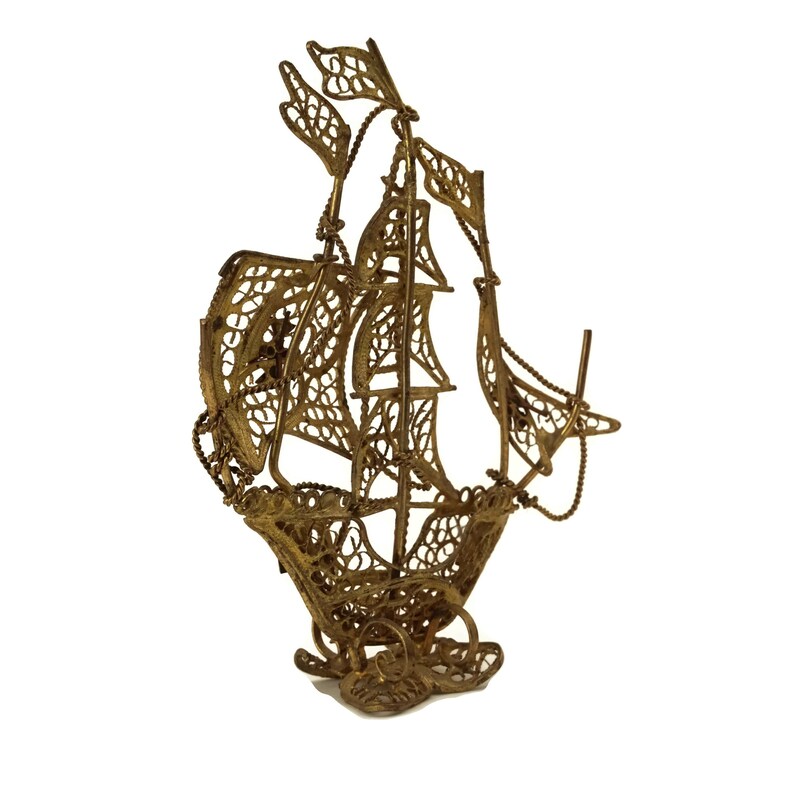 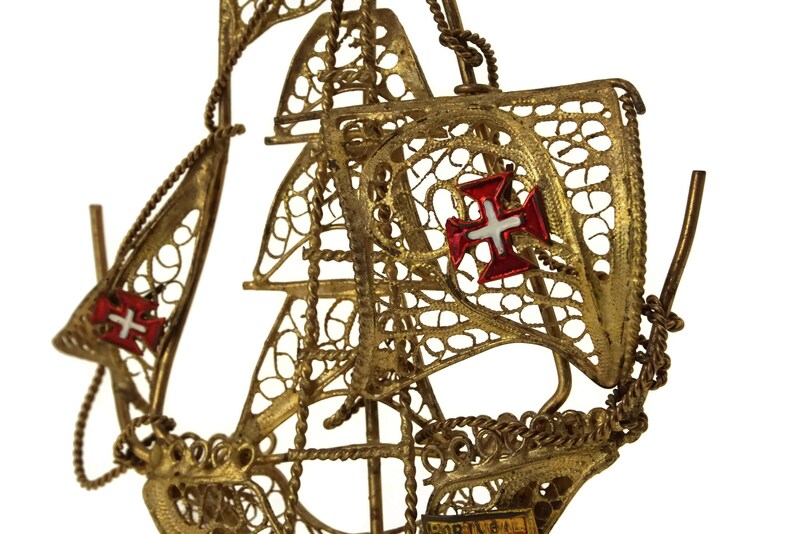 It has been finely crafted from metal wire in ornate designs and plated in gold tone metal. 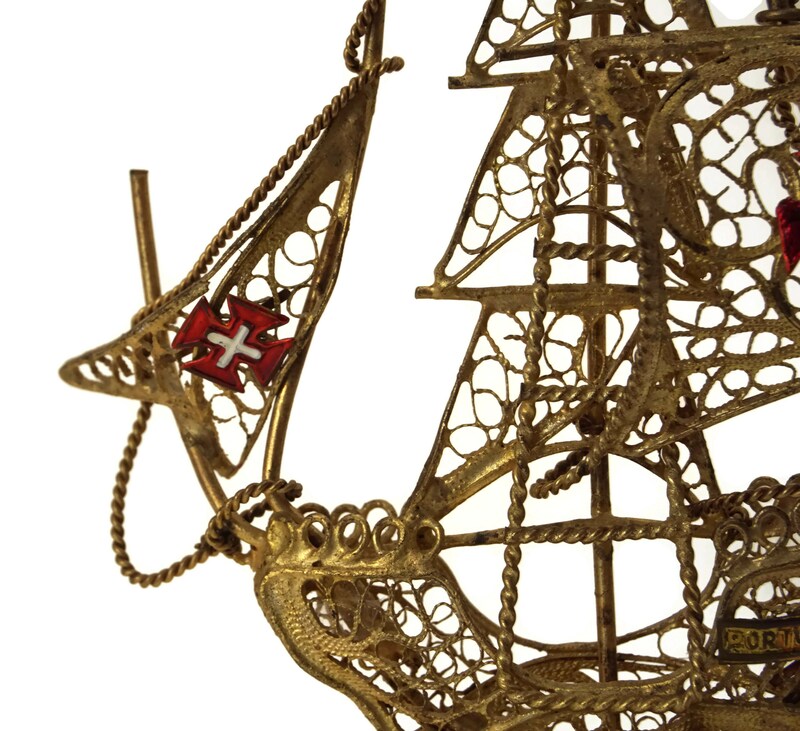 The sails have been decorated with enameled Maltese cross flags. 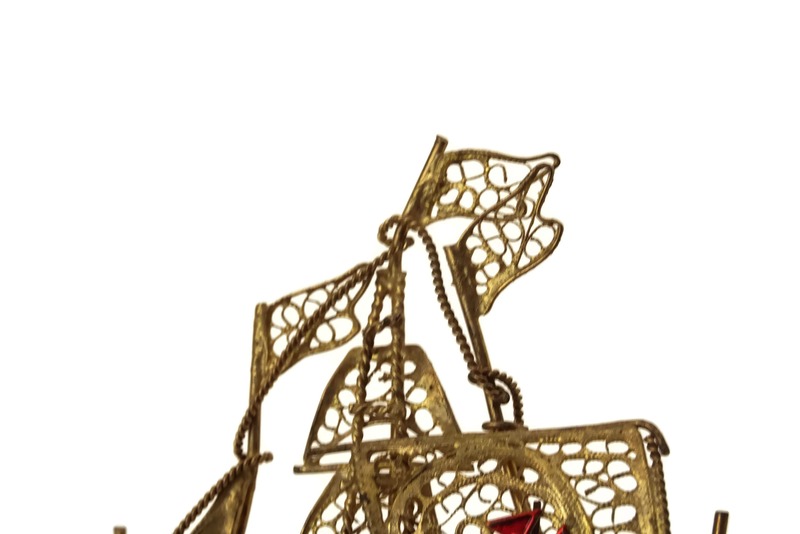 (9 cm x 11,5 cm). 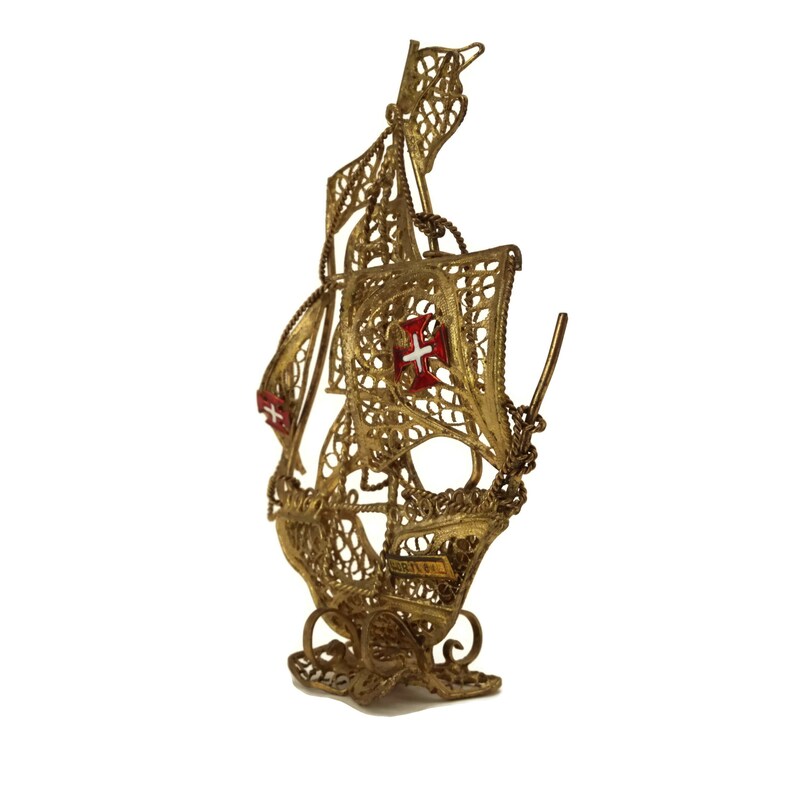 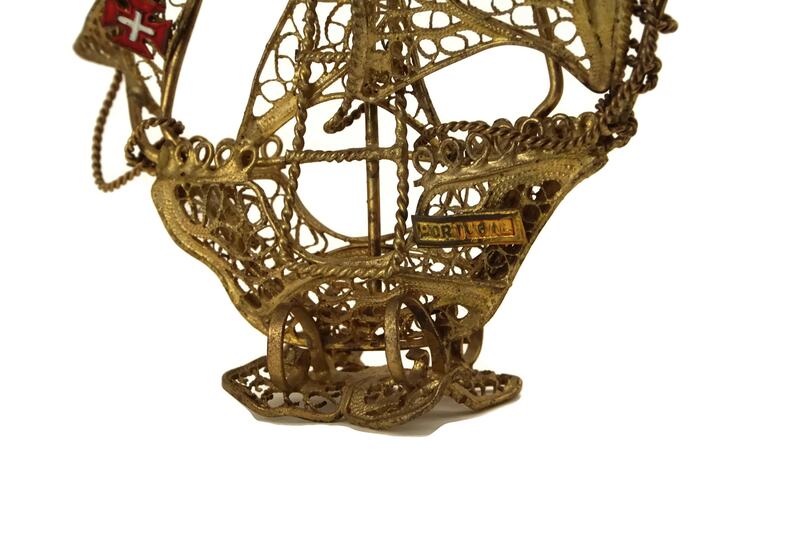 The sailing boat is in good vintage condition with age-appropriate wear including tarnishing and rubbing to the gilt metal.